Making sure your oil fired boiler and heating system is serviced regularly will keep it at its most efficient. This reduces your fuel bill and will also help to save money on unexpected breakdowns and heating engineer call out charges. Most equipment manufacturers recommend it is serviced at least once a year. • Partially burnt fuel deposits and excessive smoke can cause a build-up of soot in the boiler heat exchanger. This will restrict the amount of heat that can be transferred into the heating system water. 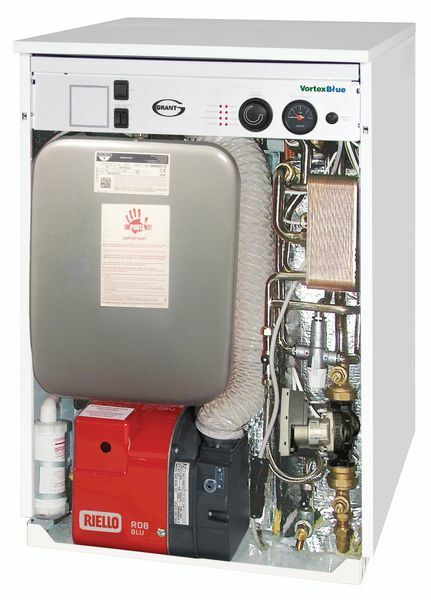 The cleaner the heat exchanger, the more efficient the boiler will be. • Oil nozzles regulate how much heating oil passes through the burner. The nozzles are a consumable item because they wear over time. This wear will affect the combustion rate and lower the burner efficiency. If these are not replaced on a regular basis they could cause “sooting up” in the heat exchanger as too much fuel passes through the burner. • Photocells can glaze over with deposits. Photocells are an important safety feature which detects whether the boiler has lit. If a photocell is dirty it may not be able to detect the burner flame correctly and can cause the boiler to shut down often randomly. Boilers that frequently switch on and off are less efficient than those constantly running. • Electrodes can wear and attract soot and deposits. The electrodes produce a spark to light the heating oil. If they are in poor condition the boiler may not light properly which is inefficient, inconvenience and increases the amount of heating oil brunt. 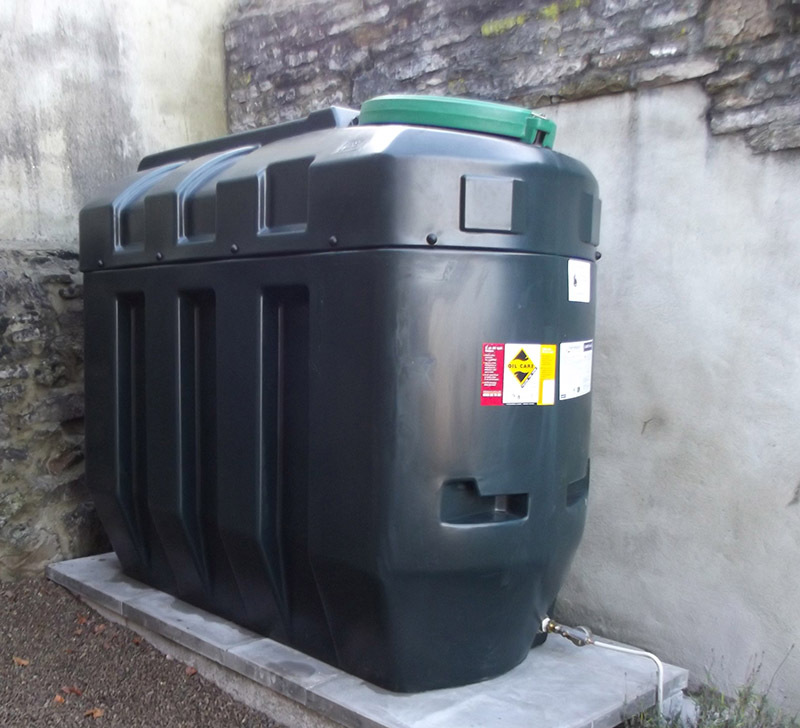 Oil storage tanks require maintenance to ensure they are holding and supplying your boiler with filtered usable heating oil. Water has been known to build up in oil storage tanks over time, which can cause frozen pipe work and frozen blocked filters if the temperature gets low enough. It is recommended that water should be extracted from the tank, filter elements should be cleaned and or replaced and fittings and pipework checked for oil leaks. Steel heating oil tanks also require repainting to prevent corrosion. Any sight gauges or contents gauges should be cleaned and checked to ensure they are accurately reporting your tank’s heating oil level. This should also prevent you from running out of fuel unexpectedly. Servicing the Heating System. What to expect during the engineer’s visit. All appliances should be inspected, cleaned and components replaced as required. If your boiler is not serviced annually it is at higher risk of breaking down and costing you more money. Cleaning the boiler enables your engineer to look for tell-tale signs that parts of the boiler may need replacing and an opportunity to inspect the boiler chamber for the condition of the material and welds. Old steel heat exchangers will often leave rust marks, which can give a warning that the boiler will soon need to be replaced. This proactive approach can limit the possibility of water damage occurring and enables replacement work to be planned rather than having the inconvenience of replacing a boiler at short notice when the heat exchanger unexpectedly fails. Long term damage can also occur if the boiler is not serviced regularly. During the combustion process, deposits will build up on the internal surfaces of the heat exchanger and the baffles which can decrease the boiler efficiency. If left for too long, these deposits can harden and with some designs of heat exchanger render it impossible to remove the baffles without destroying them. A replacement baffle will come at a significant cost on top of the routine service charge. 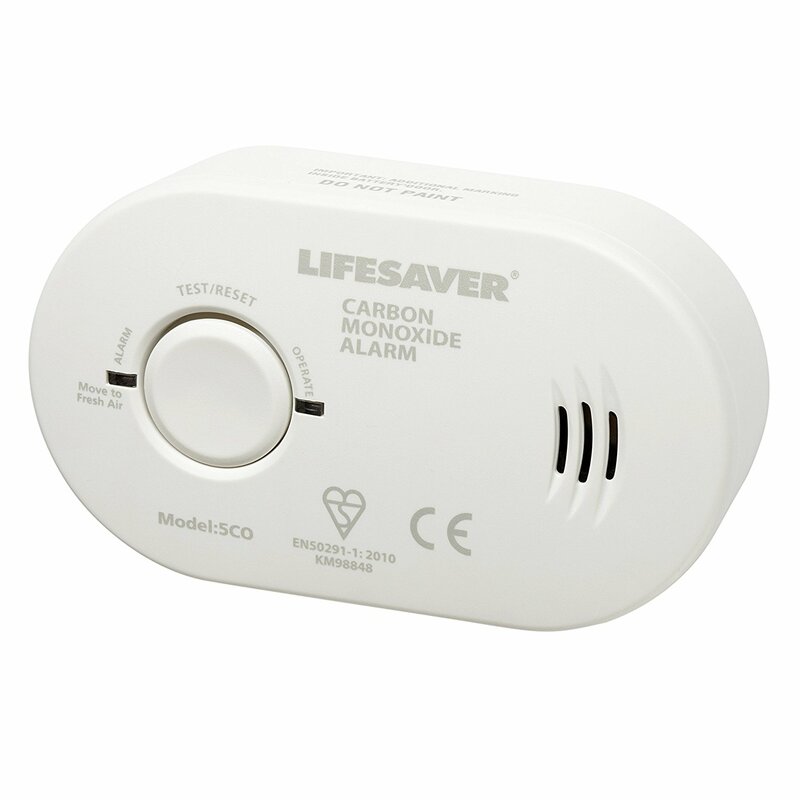 It is advisable to fit an audible carbon monoxide detector in the same room as the boiler. For safety, peace of mind, to minimise fuel costs and reduce risk of unexpected breakdowns, OFTEC would recommend that oil users contact the services of local OFTEC Registered technicians to service their oil installations at least annually. They can also advise on energy efficiency. Goff Petroleum recommend Anglia Heating Solutions, your local OFTEC registered company for installation, servicing, and maintenance, of oil fired boilers, and for safe, cost effective tank replacement. We would like to thank the engineers from Anglia Heating Solutions for their help in producing this information sheet. You can also find a list of Registered Technicians on the OFTEC website and locate your nearest registered technician.